Having trouble meeting profitable list building partners? Need help creating your first group coaching program? Would you like to create a profitable coaching program from conception to your first sale in a couple of days? Can’t find quality people to help you promote your book or coaching program? Sick of flying to live events and costly travel expenses, days away from your family and office just to meet your ideal promotional partners? 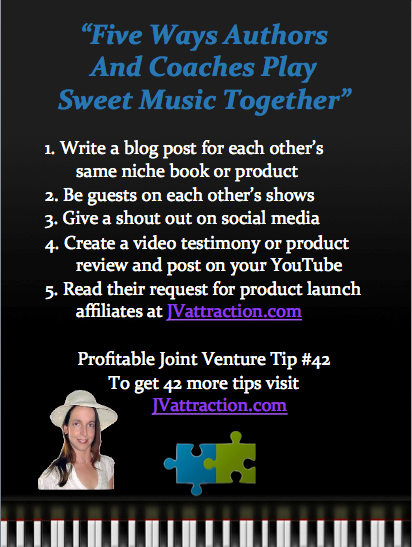 Wish you knew in advance who in your niche market is launching a product and how you can help them make affiliate sales?